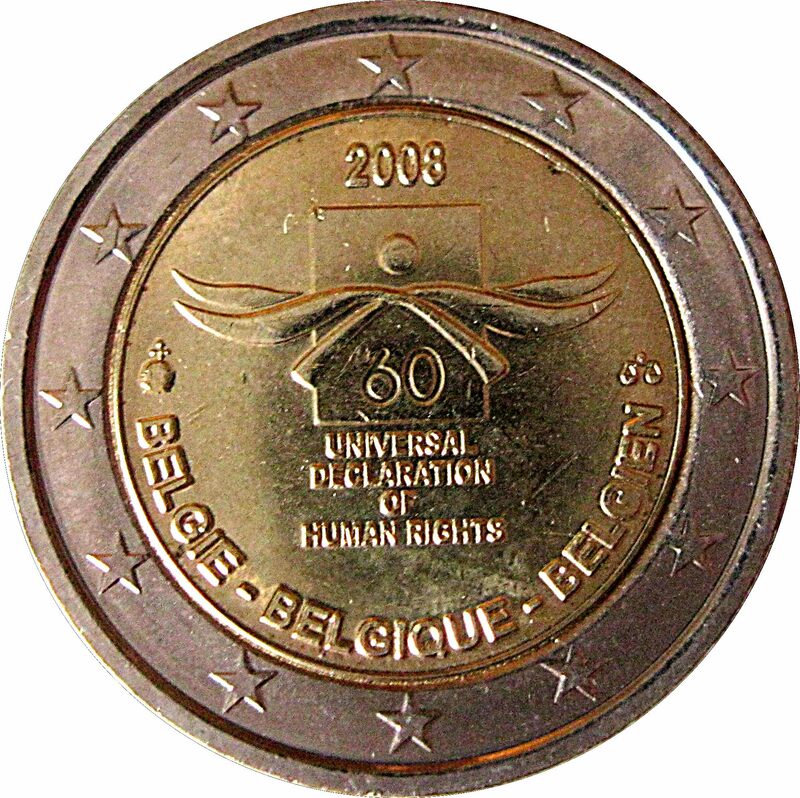 The coin shows curved lines around a rectangle marked with the figure 60. 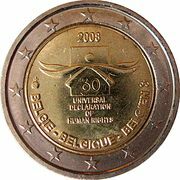 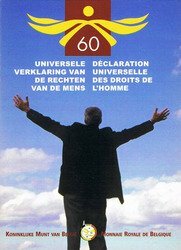 The year ‘2008’ is inscribed above the rectangle and the words ‘UNIVERSAL DECLARATION OF HUMAN RIGHTS’ underneath it. 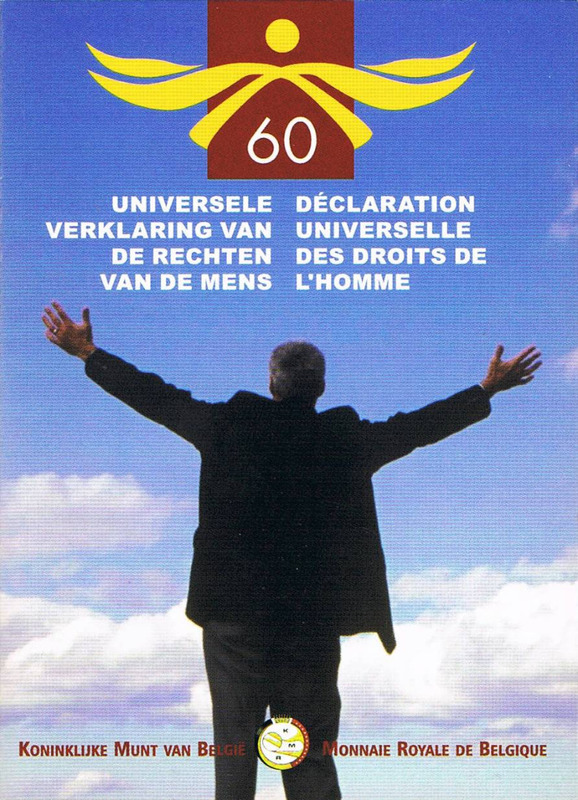 The name of the country appears below the design in its three official languages: ‘BELGIE – BELGIQUE – BELGIEN’. 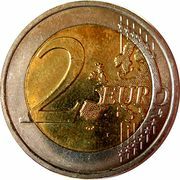 The mintmark and the signature mark of the Master of the Mint are shown to the left and right of the design respectively. 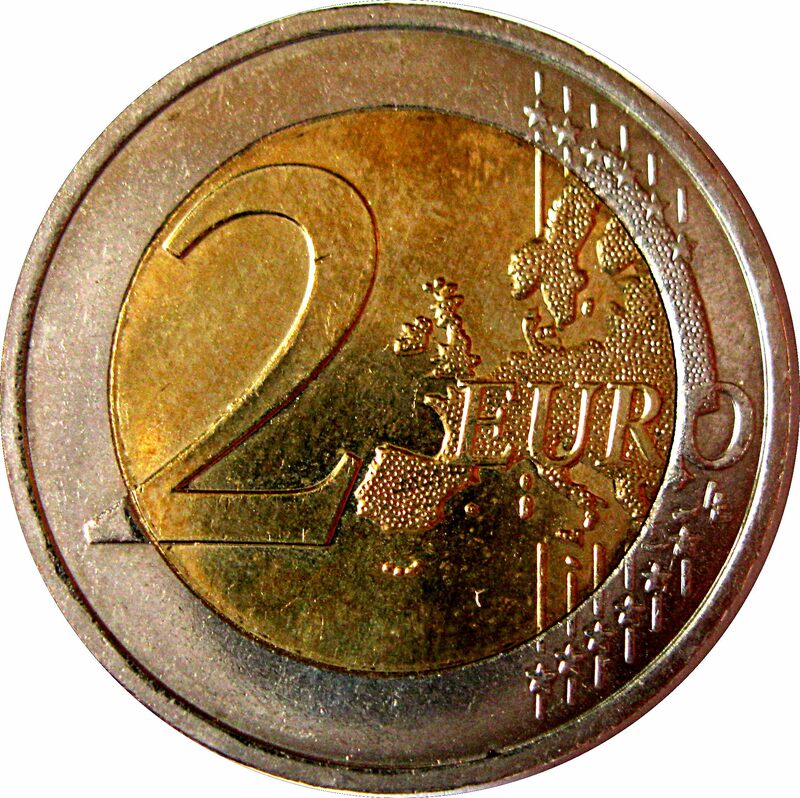 The outer ring of the coin features the 12 stars of the European Union.